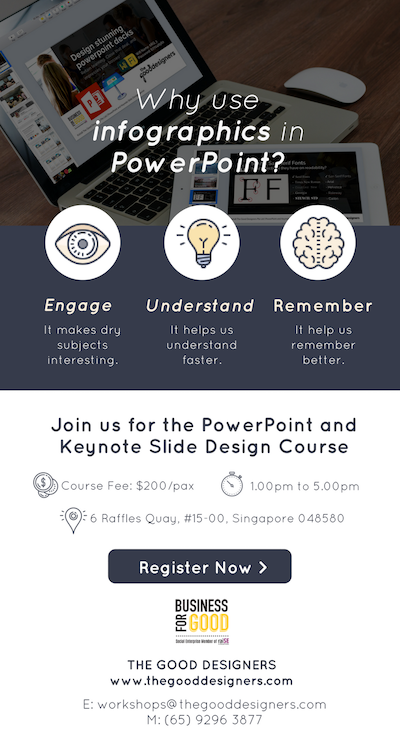 Grab your seats now to learn how to design AMAZING infographics!!! 90& hands-on training, small class training, max. 8 pax. 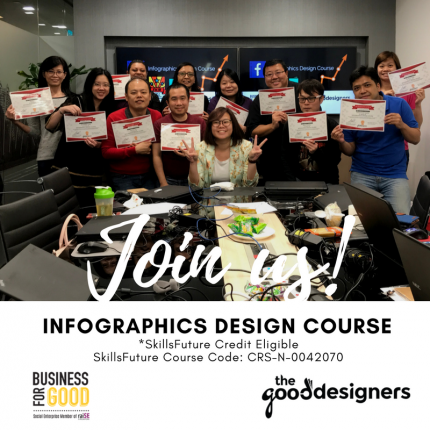 This INFOGRAPHICS COURSE is SkillsFuture Credit Eligible. P.S. 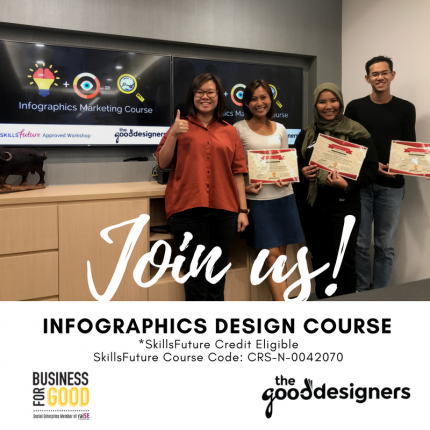 Infographics examples are attached at the bottom of the course content below. 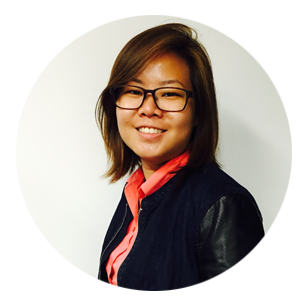 Being a designer by training, she designs, consults and trains individuals in digital marketing. She started training and equipping her clients in Facebook Marketing, SEO Marketing, Email Marketing, and other key digital marketing topics since 2015. Till date, she has conducted more than 1,000 hours of training, and she is an ACTA Certified Trainer. Charmaine makes learning interactive, practical and fun. She enjoys breaking down complex topics to help participants gain better understanding and find success in the digital marketing campaigns with FREE digital tools available in the market for Entrepreneurs, Trainers, Adult Educators, Coaches, Business Owners, and SMEs to leverage on. 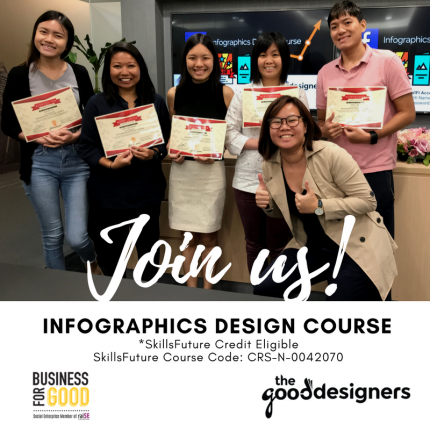 In 2018, Charmaine will be conducting even more corporate trainings with different polytechnics, ITEs, and government agencies.